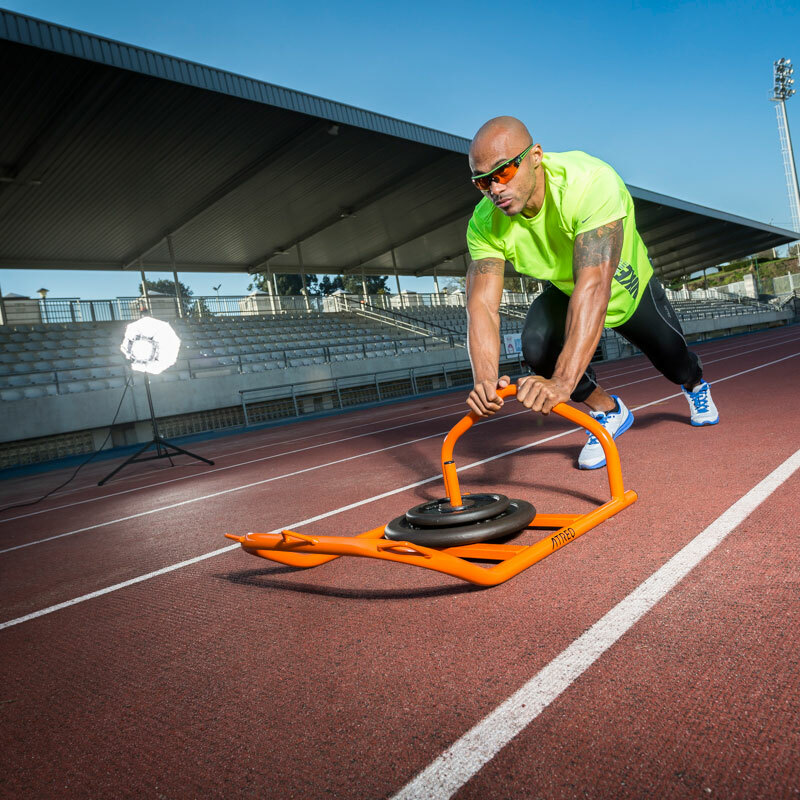 The ATREQ Intermediate Resistance Sled can be pulled or pushed to add variation to your workout. Add Olympic weights to the sled and experience top speed resisted sprinting for unmatched power gains and explosive starts. Rear handlebar allows a player to drive the sled to help develop explosive lower body strength. Use it to increase work capacity and pillar strength. Included - Sled, Resistor Harness, Connecting Lead. Takes 50mm Weights to be ordered separately.